The best cars of 2014 – HubNut – celebrating the average! I’ve mentioned my EV experiences of the year, but what about those infernal combustion engines? Which was my favourite? Firstly, I should point out that my job isn’t all about driving cars and then writing about them. That forms a very, very small part of what I do. Most of my working time is spent either reading books or hammering out words on my poor, tired laptop. 2014 has been the year of the XM – marking the 25th anniversary by driving four, and owning one at last! I did get to drive a Citroen C6 this year, but it wasn’t anywhere near as good as I’d expected. Just like the looks, which rear-end aside are rather on the bland side, the car just wasn’t exceptional to drive. It wasn’t awful, but it didn’t impress. It wasn’t interesting enough. I was more impressed when I had a drive of a C5 Mk1 – a car where the looks are horrendous, but the driving experience surprisingly pleasant. I organised an Autoshite gathering earlier in the year, where I got to drive quite a few different cars. The Mk3 Cavalier impressed, as did the Kia Pride. I can’t say either were amazing though. What about the Skoda Rapid 135RiC? This is the very last rear-engined Skoda produced and the first time I’d driven a rear-engined Skoda for some years. There was a lot to like, that’s for sure. It was wonderfully quirky, and a car where you could feel every bit of the country in which it was produced. That sort of individualism just doesn’t exist anymore. Fittingly, it was built in the same year that 2CV production ended – another very individual motor car. Nice as ‘HURB’ was though, it wasn’t the highlight. 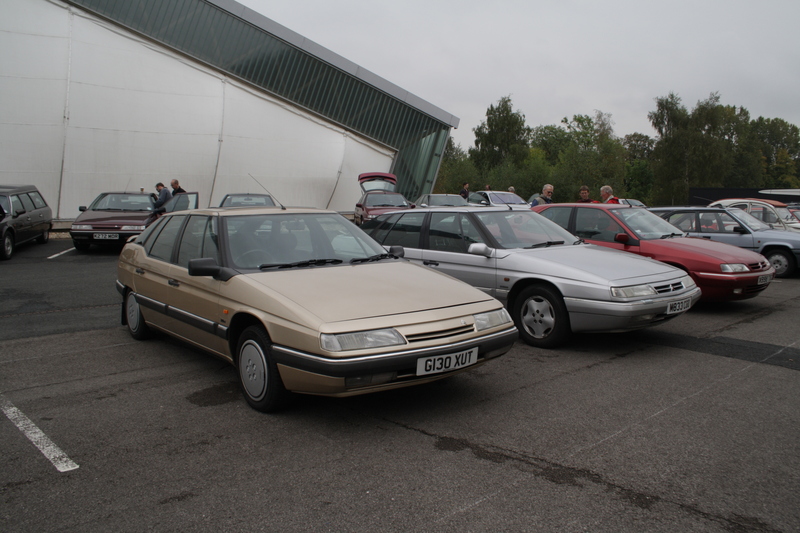 Maybe the Citroen XM then? I got to drive my first one in February for a Practical Classics photo shoot. I was mightily impressed. Later in the year, I got to drive a four-cylinder petrol, and a beautiful V6, but it was the 2.1 turbo diesel that I knew I simply had to own. I did too. It remains something of a fleet highlight, that’s for sure. I can’t believe I left it so long to get my XM kicks. It isn’t the highlight though. No, it is to the Heritage Motor Centre in Gaydon, Warwickshire that we must head, for a very special day. I drove there in a tired Jaguar X300 – it could almost have been a contender itself actually. A short while earlier, I’d driven it across London and it was the first time I’d ever enjoyed driving within the M25! It was a bit tired though, so a contender it is not – fine automobiles that these XJ6s are. This was simply one of the most exciting days of my life. I actually got to drive some of the exhibits of this marvellous collection. But here’s the next challenge. How do I pick just one? 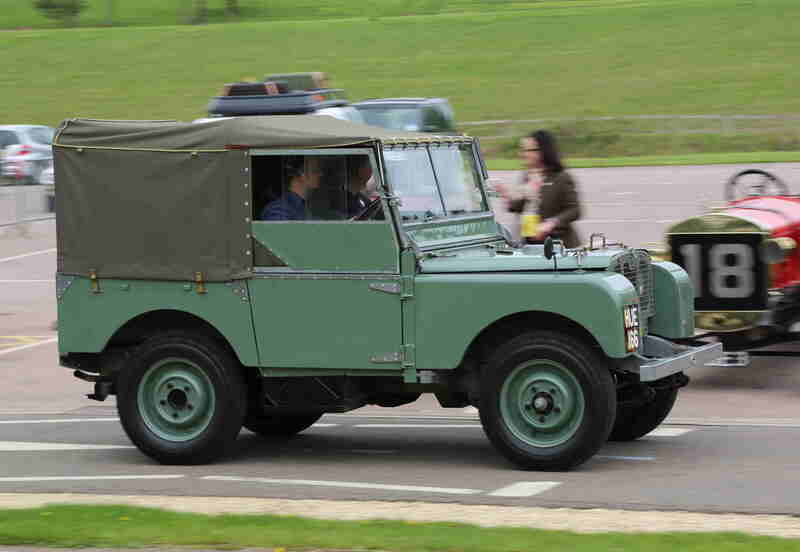 How can you compare HUE 166 (the first Land Rover) with NWL 576 (the first Morris Minor)? Is it more exciting to drive the one-off Triumph Lynx that never made it to production, or the Rover P6BS that similarly remains a tantilising one-off? As it happens, NWL suffered brake failure, so my drive of this iconic Minor was short-lived and very exciting (good job I know how to use a handbrake). HUE 166 gets rather more use, and was a sheer joy once I managed to find first gear. I even operated the trafficators, because trafficators are cool. The Alvis/Rover P6BS was suffering from sticky carburettors, so was rather poorly. That took the shine off a momentous drive – it was the first car I made a bee-line for. The one car that really surprised me though was the Darien Gap Range Rover. I love how this car still wears the scars from the time it trekked the full length of the Americas in 1971/2. The 18,000 mile journey took over six months. The Darien Gap section itself, thick forest and swamp, saw them take 96 days to cover just 250 miles! Oh if only cars could talk. 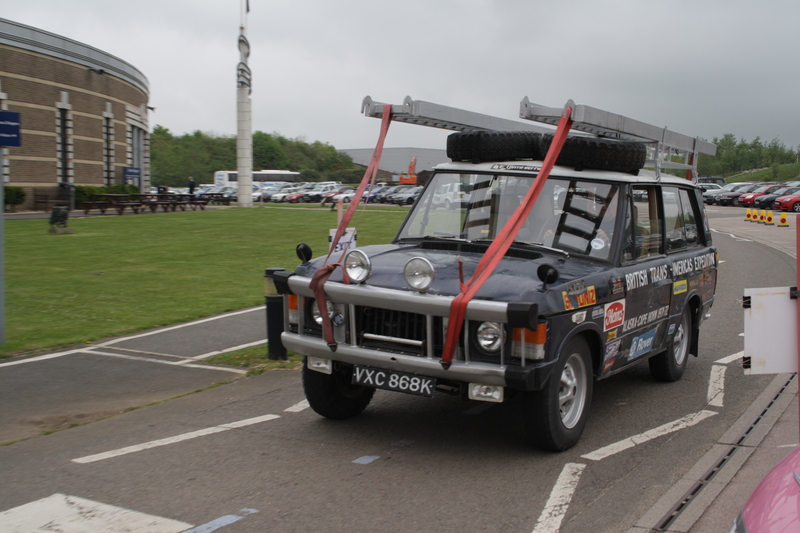 This Range Rover has an amazing history, from over 40 years ago! Being an early Range Rover makes it a joy to drive just in itself though. A lovely V8 soundtrack is allied to great handling, even though the expedition vehicles are very top heavy. This is a car, like all the others that day, that I’d read so much about – but it’s also arguably far closer to original condition than ‘Huey’ and NLW – both of which have seen some restoration over the years. It was an absolute honour and I still can’t thank the Heritage Motor Centre enough for making the day possible. Exhibits have remained tantilisingly out of reach of journalists for far too many years. It was great to see the volunteers and staff enjoying the experience just as much as those who attended on the day. I don’t often do favourites, but the Range Rover was the icing on the cake on that great day. The memories will live on for a long time, that’s for sure!